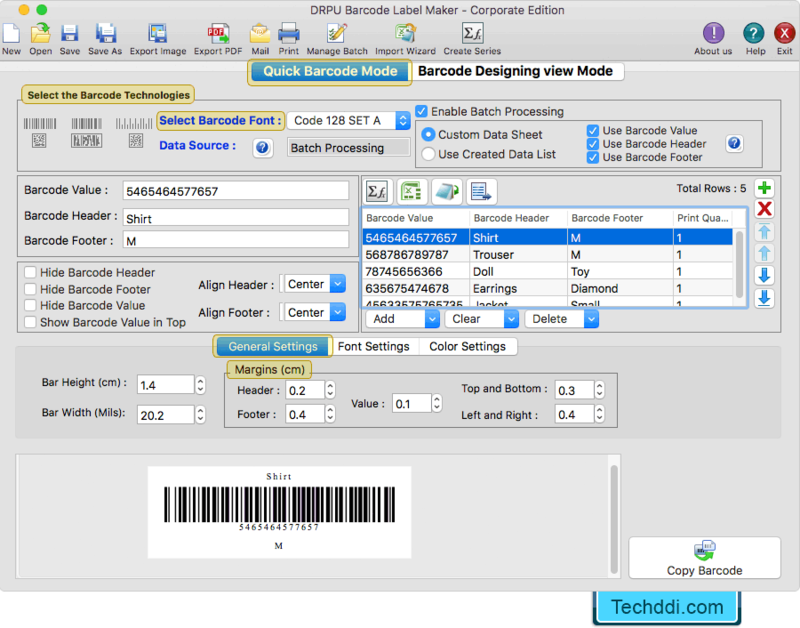 MAC Barcode Label Maker Software - Corporate Edition creates and prints multiple barcode labels, coupons, tags, and stickers on MAC OS X installed machine. To design barcode labels, Program has various drawing tools such as line, text, ellipse, rectangle, rounded rectangle, barcode, signature, watermark etc. 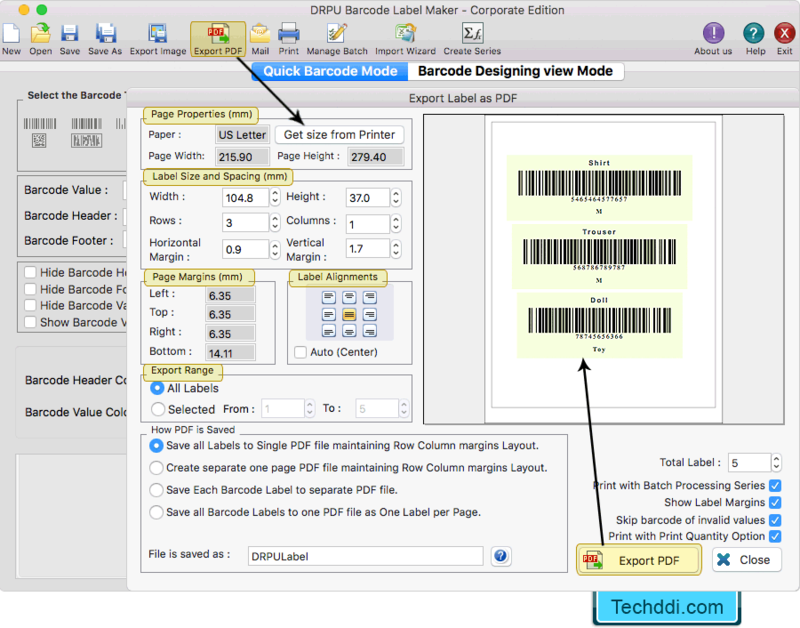 ➤ Mac barcode label maker software - corporate edition provides 'Copy Barcode' option to copy barcode label and paste at specified application including MS Word, TextEdit, MS Excel etc. 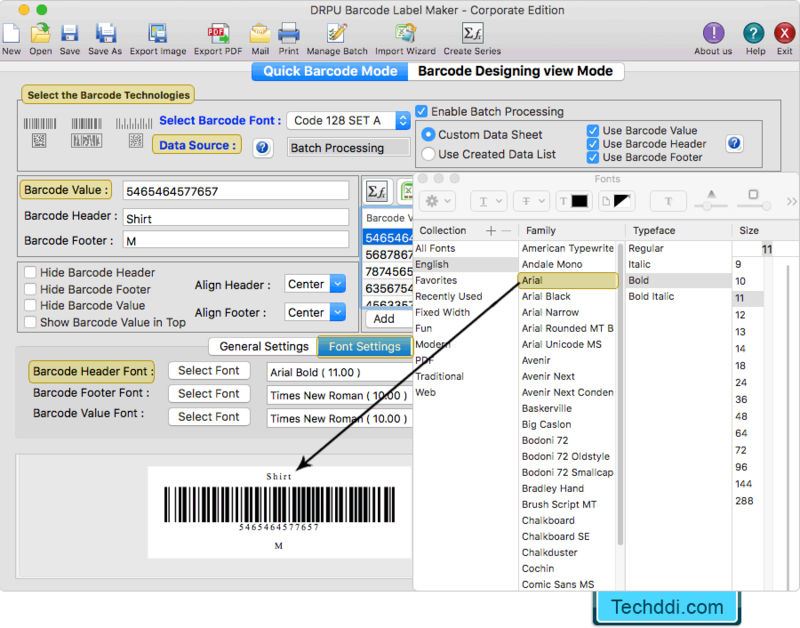 Software provides two modes for creating barcode labels : Quick Barcode Mode and Barcode Designing View Mode. Here we are creating barcode label using 'Quick Barcode Mode' for demonstration purpose. Fill various barcode properties and adjust General Settings of barcode label. Using Font Settings, you can select the font of barcode header, barcode footer and barcode value. Using Color Settings, you can change the color of barcode header, barcode footer, barcode value, barcode, and barcode background. Click on 'Export PDF' option, you can save or export barcode labels in PDF file format. 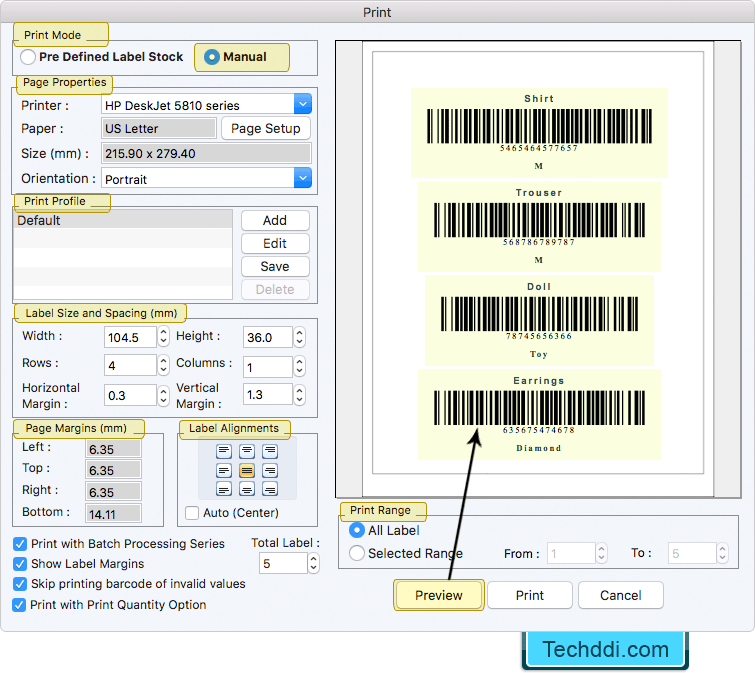 To print created barcode labels, adjust various print settings and click on Print button. You can see the print preview of barcode labels by clicking on Preview button. MAC Barcode Software provides various designing objects such as line, text, barcode, rectangle, rounded rectangle, ellipse, images, barcode, watermark, signature etc. to design your own barcode labels. Program has feature to save or export designed barcode labels as image or as PDF. 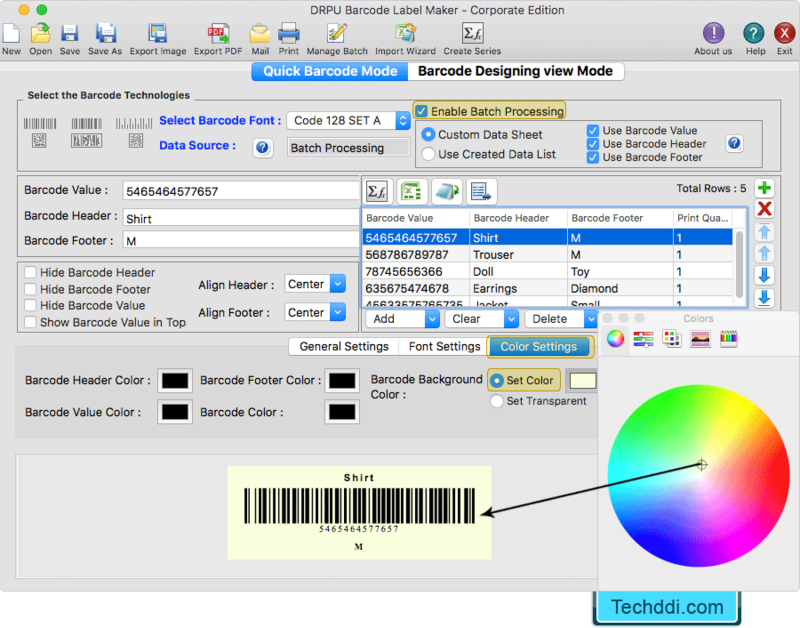 Using advanced print settings of software, you can print created barcode labels. 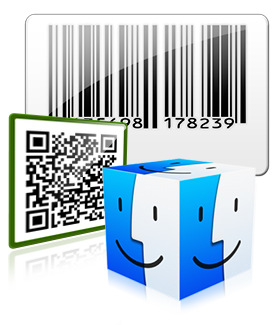 Barcode Tool allows MAC users to design barcode coupons in different shapes including rectangle and rounded rectangle. Program has inbuilt email settings to send designed barcode labels at specified email addresses.